Switzerland is a stunning and naturally pure winter wonderland. You simply must go at least once in your lifetime – or maybe twice, because Switzerland in summer is also absolutely mesmerizing. In Winter, you are met with incredibly stunning and scenic landscapes, plenty of wintry activities and authentic Swiss hospitality and service keeping you comfortable, warm and cozy. An added bonus of travelling to and around Switzerland is the famously efficient and reliable Swiss Travel System and the spectacular and quintessential Swiss scenery that greets you out of your window at each turn whether you’re travelling by air, train, boat or road. 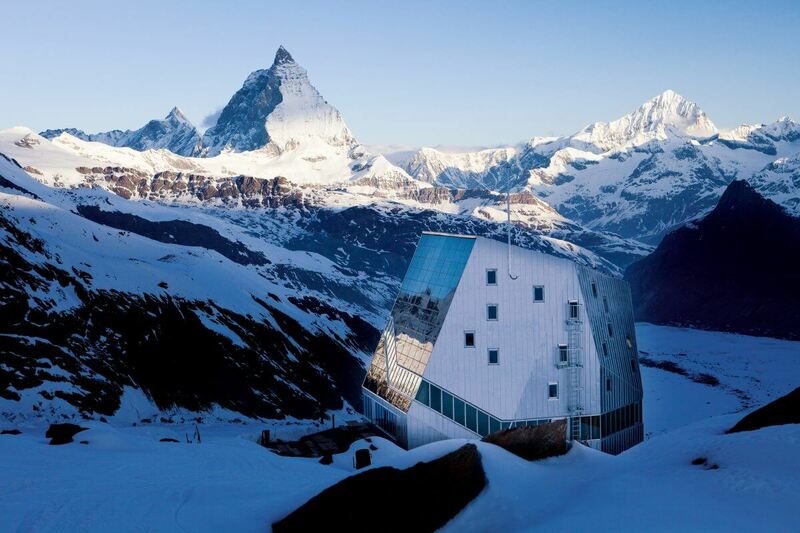 Appreciate a slice of heaven as you zoom past, under, over and through alpine peaks, glacial lakes to some of the best snow and ski destinations in the world, such as Zermatt, Davos, Grindelwald, Engelberg and St Moritz. Enjoy keeping busy in the snow and on the ice with the best of on and off slope activities including cross-country skiing, tobogganing, ski and snowboarding, snowshoeing and hiking and a few unique experiences such as ice lake horse polo and cricket matches and ice track horse racing! Located in Switzerland’s south, Zermatt is renowned for it’s picturesque location beneath the mighty Matterhorn peak, Zermatt offers visitors not only incredibly scenic surrounds, but it’s also where you will find the worlds’ highest outdoor pool, heated to a balmy 37’C. Apart from relaxing poolside, you can also ski, climb, hike and enjoy ice skating or curling! You can also take a leisurely stroll down the main street, lined with boutique shops, hotels and restaurants before enjoying the lively après-ski scene. Davos is in Switzerland’s east and is a unique place offering the opportunity to enjoy lunch on a mountain in a 400-year old house stay. Davos is a popular ski resort with downhill and cross-country ski areas. The Glacier Express, a mesmerizing scenic train ride, connects Davos to the Matterhorn. Grindelwald is fairly centrally located in Switzerland, not far from Interlaken within the Bernese Alps and provides the best access point, if you want to visit the highest train station in Europe, Jungfraujoch. There are plenty of ski options in winter and it’s also a popular place to base yourself if you are a mountaineer, as the ominous north face of Eiger Mountain looms above the town. Gletscherschlucht, is another attraction near Grindelwald, with glacial gorges and interpretive signage along a path running past waterfalls and limestone walls. Engelberg is centrally located in Switzerland, north of Grindelwald and south of Lucerne. Embrace your inner history buff, religious interests or curiosity with a visit to the Kloster Engelberg, a 12th-century monastery. Alternatively, a revolving gondola takes you to the summit of Mt Titlis and a variety of ski zigzag runs area available to descend. There is also the world’s highest suspension bridge – the Titlis Cliff walk, and a glacier park and a glacier lake are nearby or you can even test your skills on climbing ladders (ferratas) on Rigidalstock mountain. St. Moritz is a luxury alpine resort town in Switzerland’s south-east. You can sightsee past Olympic attractions like the Cresta Run, a world-championship bobsled run made of natural ice or enjoy skating around an outdoor Olympic ice rink. You can also live the highlife whilst enjoying watching a polo game on a frozen lake, a cricket match and even ice track horse racing! Of course, the typical forms of winter activities are also available, with an abundance of ski and snowboard areas and well-groomed cross-country ski trails. Visit Switzerland this winter and experience an authentically Swiss winter wonderland. To explore Switzerland this winter, our knowledgeable Ski experts are here to help you find your ideal winter getaway at the best rates for you.